Thala Ajith’s upcoming Vedhalam is slated for a grand scale release on November 10 on the eve of Diwali festival, and this is the first Tamil film to release in Poland. of punch dialogues in the movie, and these dialogues which focuses on respecting women and women empowerment are going to be one of the major highlights of the movie. Shruthi Haasan who will be seen as Ajith’s love interest played the role of lawyer while Lakshmi Menon played Ajith Kumar’s sister role. 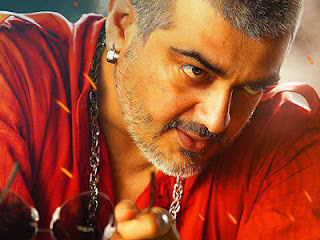 Vedhalam directed by Siruthai Siva has musical scores by Anirudh, which are already rocking the charts. Ashwin, Soori, Naan Kadavul Rajendran, Rahul Dev, Kabir Khan will be seen in other key roles in Vedhalam.